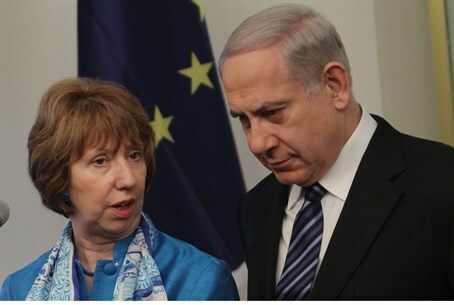 Jewish construction in Jerusalem apparently deeply disturbs European Union (EU) Foreign Affairs Commissioner Catherine Ashton. On Thursday, Ashton demanded Israel take back its announced plans to build over 700 housing units in its capital city. "These plans endanger the chances of turning Jerusalem into the capital of two countries," claimed Ashton, referencing the US plan to establish an Arab capital in Jerusalem. "I call on the government of Israel to weigh this step again, and take back its decision." It is worth noting that the ongoing peace talks between Israel and the Palestinian Authority (PA) did not officially include any preconditions of a construction freeze by Israel. Israel is currently suffering from a housing crisis; reports show housing prices rose another 8% in 2013, and have doubled since 2005. Ashton's disapproval over the idea of Jewish homes being built echoes condemnation from the US State Department on Wednesday. Spokesperson Jen Psaki said "we oppose any unilateral actions by either party that attempt to prejudge final status issues, including the status of Jerusalem." The Jerusalem construction plans announced Wednesday include 386 units in Har Homa, 136 units in Neve Yaakov and 36 units in Pisgat Zeev. It also proposes 100 units on Derech Hevron, 47 units in Givat Shaul, 18 in Katamonim, 17 in Sur Bahar, 14 in Beit Safafa, 8 in Jabel Mukaber, and 6 in Beit Hanina. In response to the criticism, the Jerusalem Municipality brushed off the calls noting that the plans including construction in Arab-majority neighborhoods as well. "In the coming years tens of thousands of housing units are expected to be built throughout the city for all populations," declared the municipality. "New construction in Jerusalem is necessary for the city's development and to give youth and students the ability to live here and acquire an apartment." The European and American criticism of construction in Jerusalem comes after US Secretary of State John Kerry threatened Israel with international boycotts on Saturday, following reports that Kerry himself is orchestrating the European boycotts.